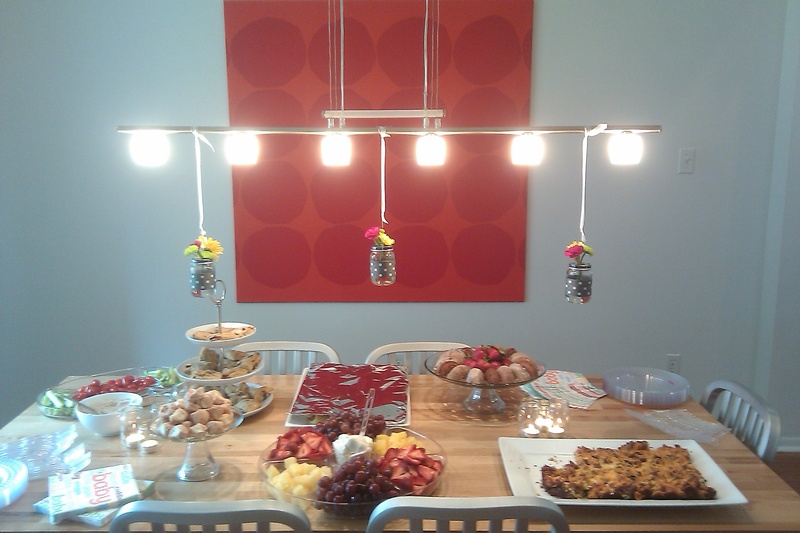 Unfortunately I forgot my camera at the shower, but my friend Merinda got this pic! 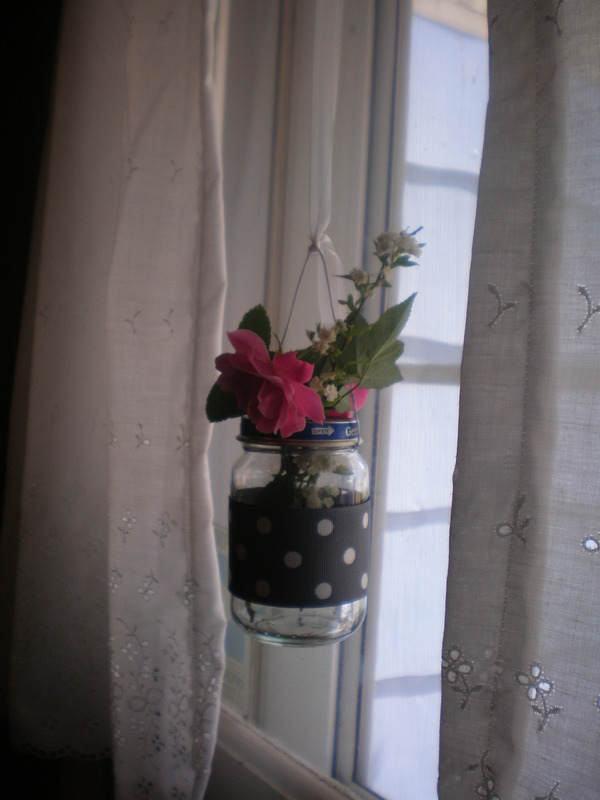 I was trying to think of a cute way to display flowers at a baby shower and I saw some ideas of re purposing old baby food jars as vases in a Better Homes and Garden magazine. 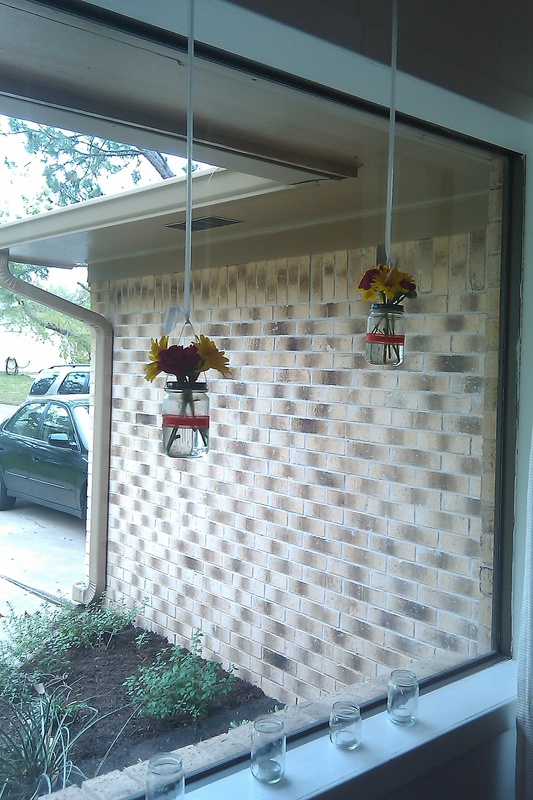 The ones I saw all had the tops removed, but I thought for a baby shower it might be fun to leave the lids on a drill a hole in the top for the flowers. 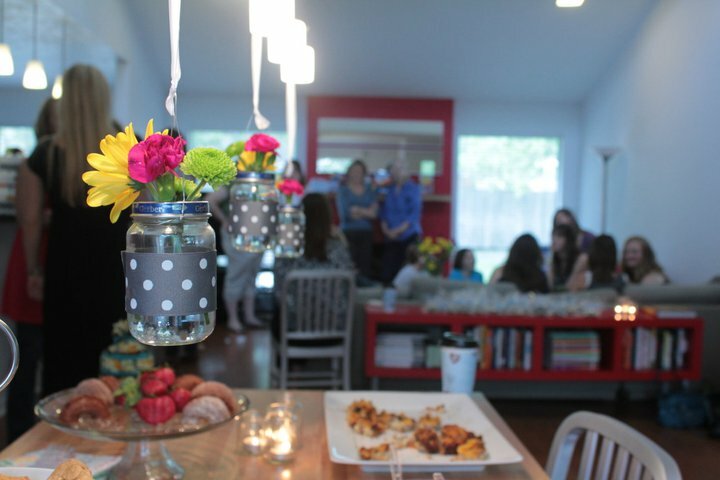 That way it was more obvious that the vases were baby food jars. They came out soo cute! If you have a few fun flowers in your own garden you hardly have to spend any money at all. 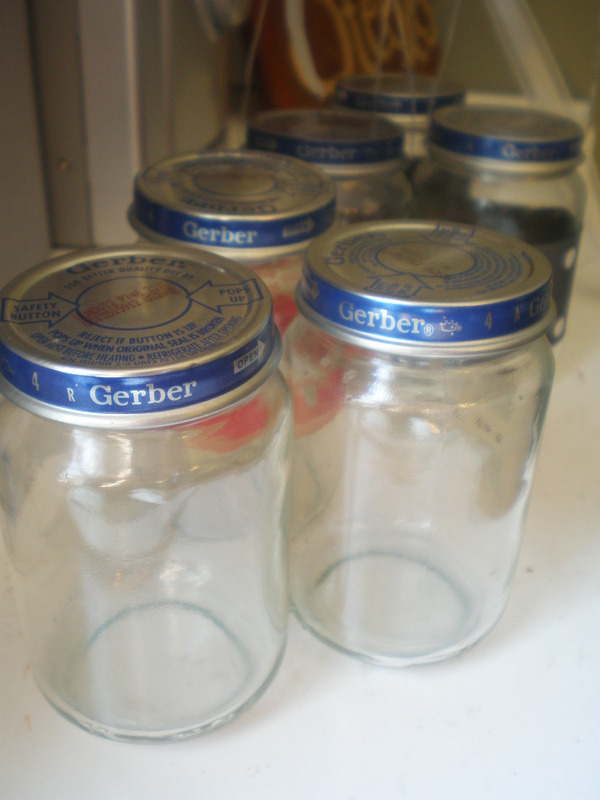 First save up some old baby food jars, remove the labels and wash them. 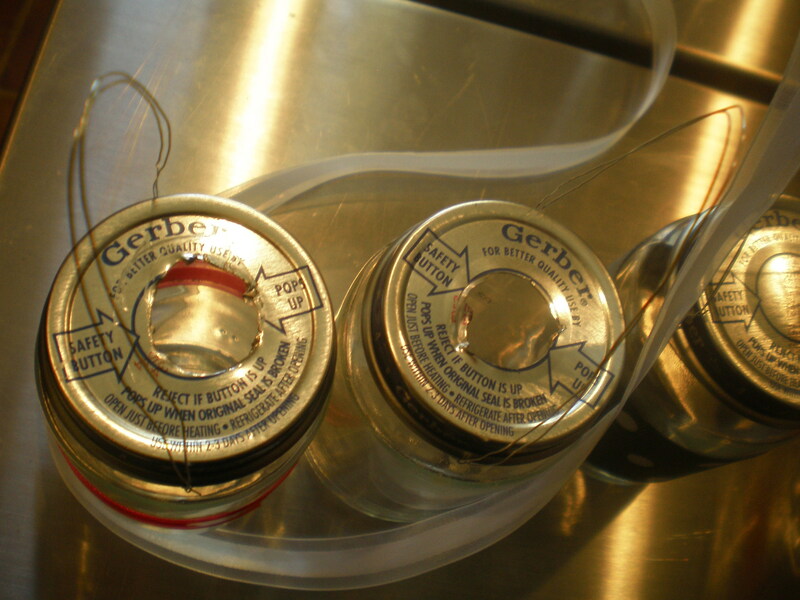 Don’t worry too much it you have some sticky residue from the labels if you are using a wide ribbon, because it will most likely cover it. 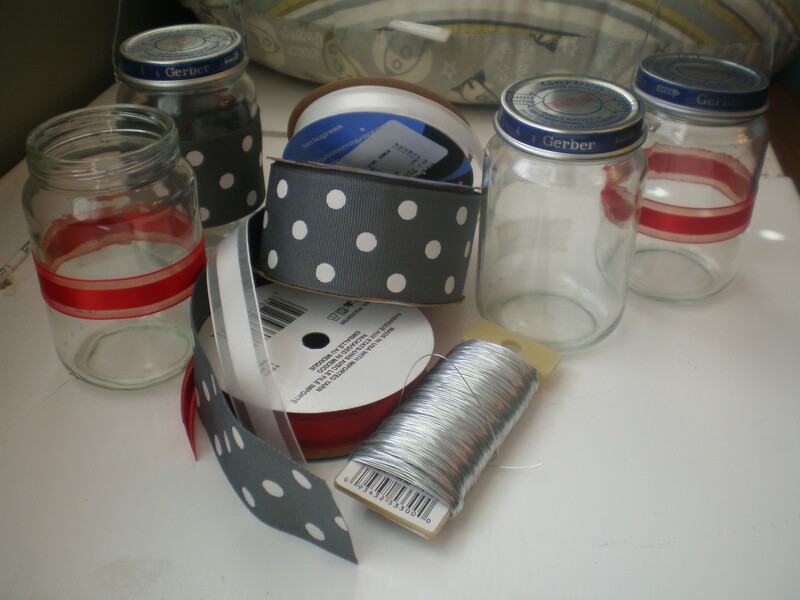 I made 5 vases, so I did 3 with a gray polka dot ribbon and two with red. 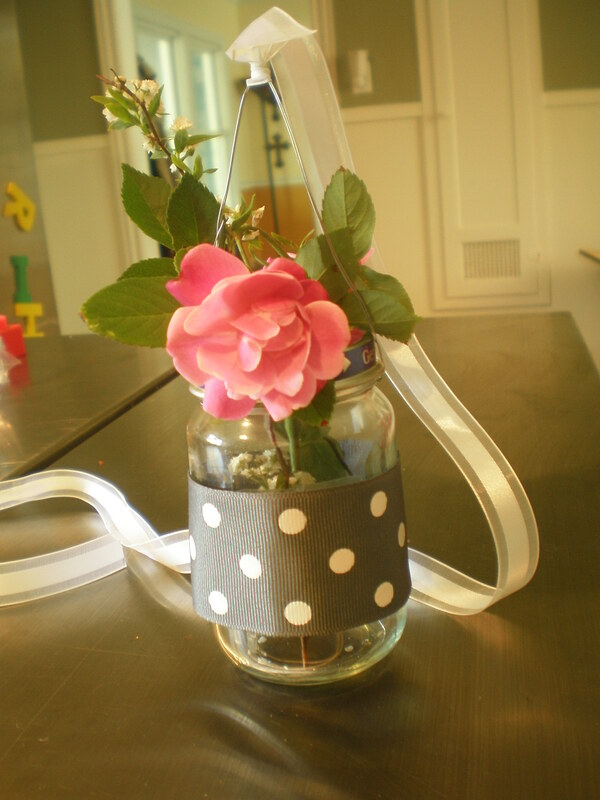 You can coordinate it with the shower theme, babys nursery theme, or the color of flowers you are getting. 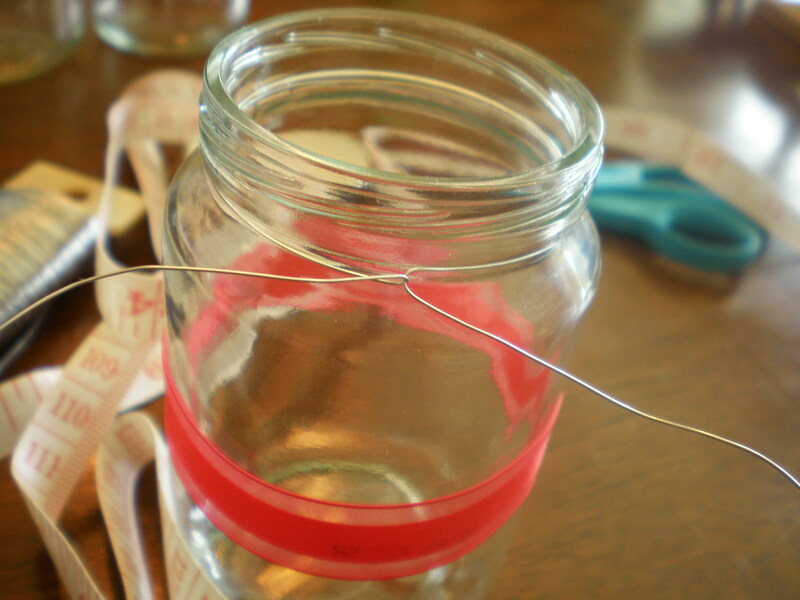 Wrap your ribbon around each jar and glue it into place. 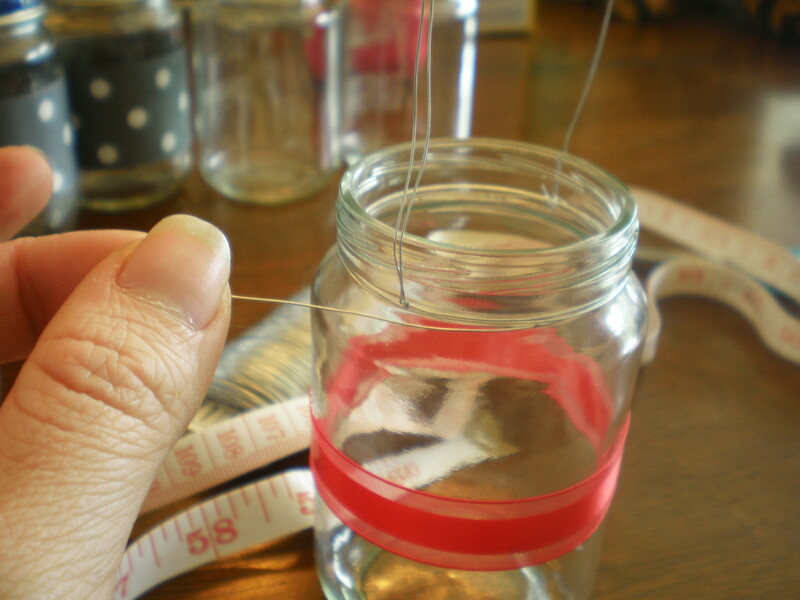 You will want a good glue that will hold well on the fabric and glass jar. 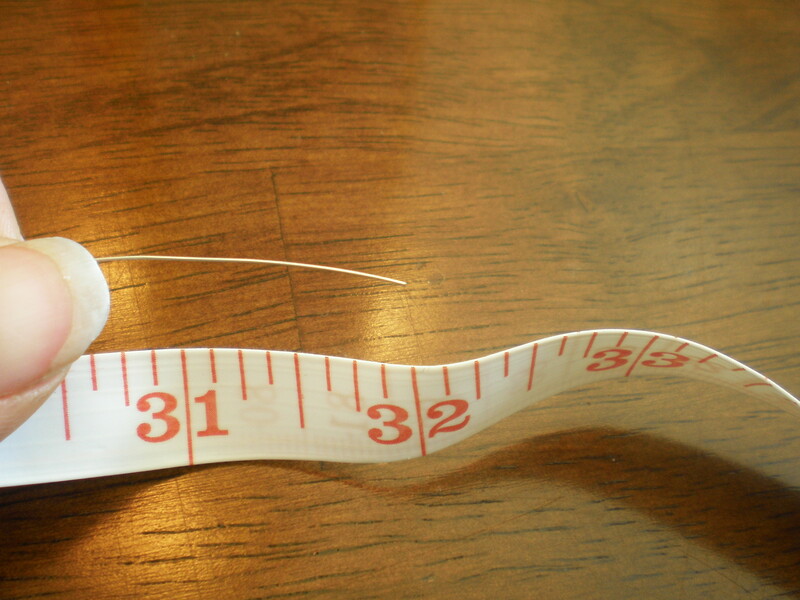 Super glue would work well, or a good craft glue. 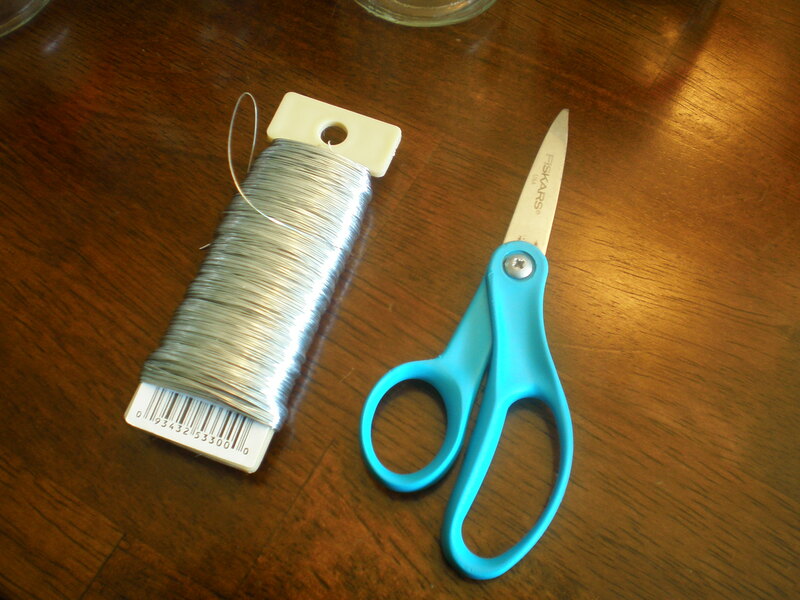 I cut about a 32 inch piece of florist wire and looped it around the upper rim of the jar leaving a short end of about 8-9 inches, and a long piece to make the hanging loop. I learn better visually so I took pictures as I went, I will try to explain with captions on the pictures. 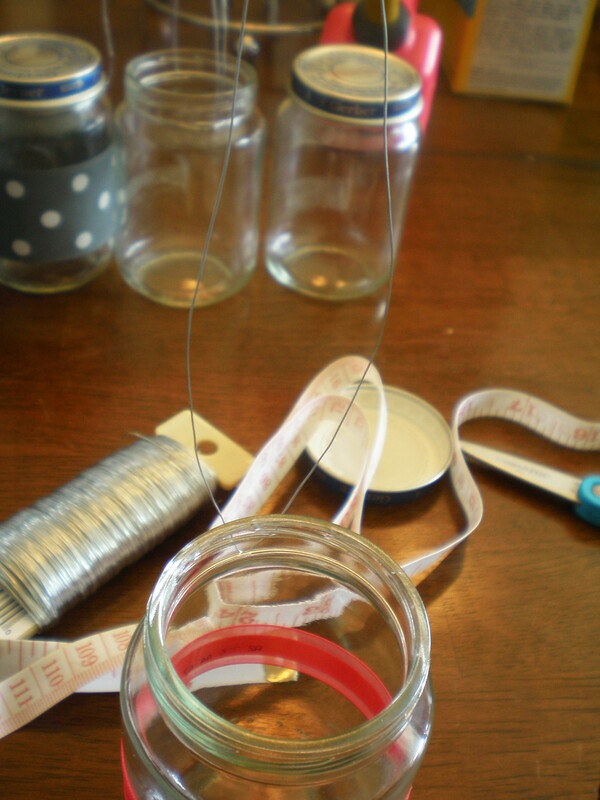 I then slid the wires in between the jar and the wire directly across from where I twisted them. 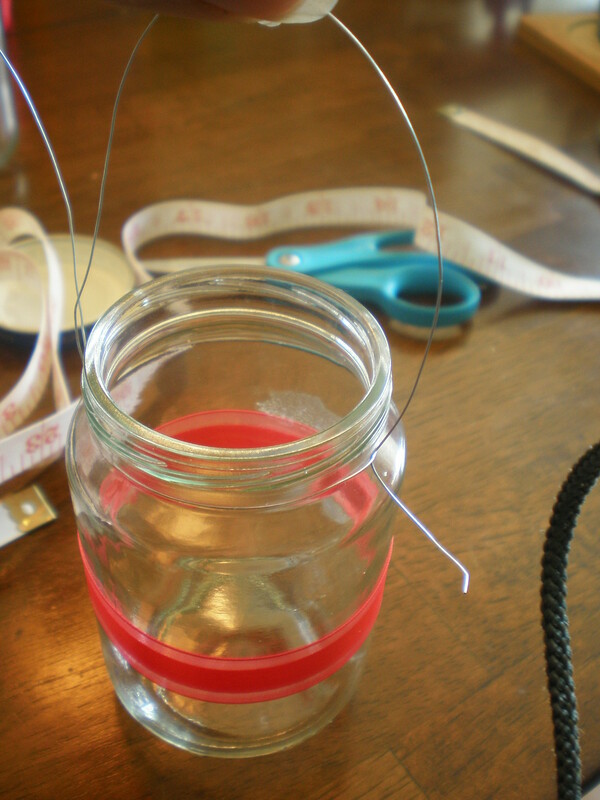 Leave your wires long enough that you can hang your vase, and then twist the end around to secure. 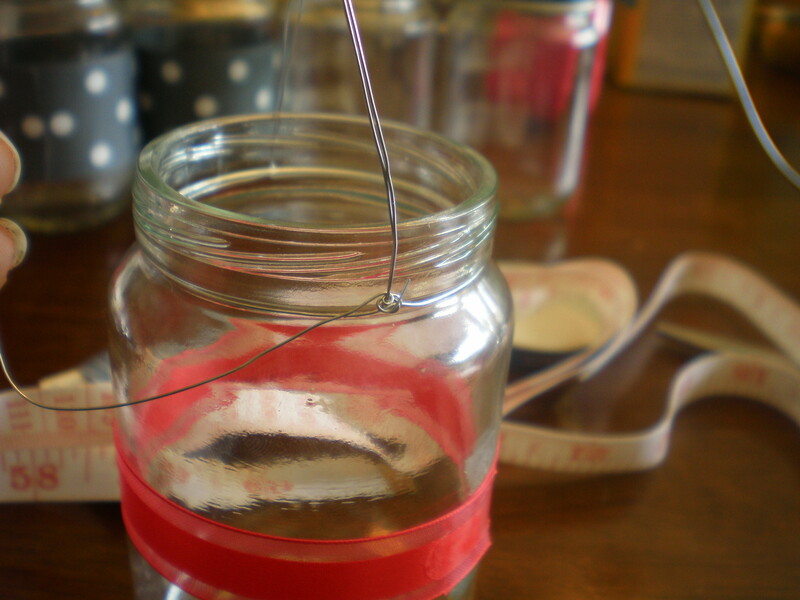 The longer piece I had left I looped around the jar rim until I ran out and twisted in under the wires to secure. 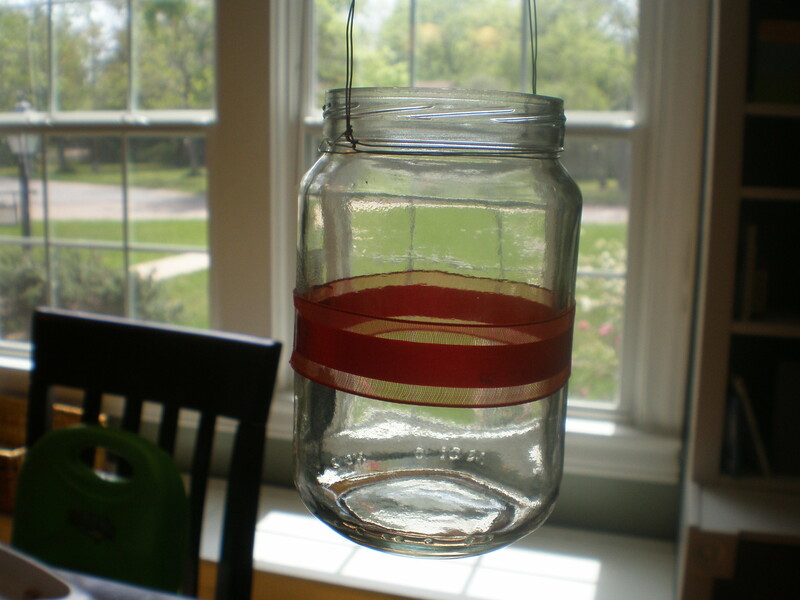 You could stop here if you do not want the baby food jar on top, and it is really cute. 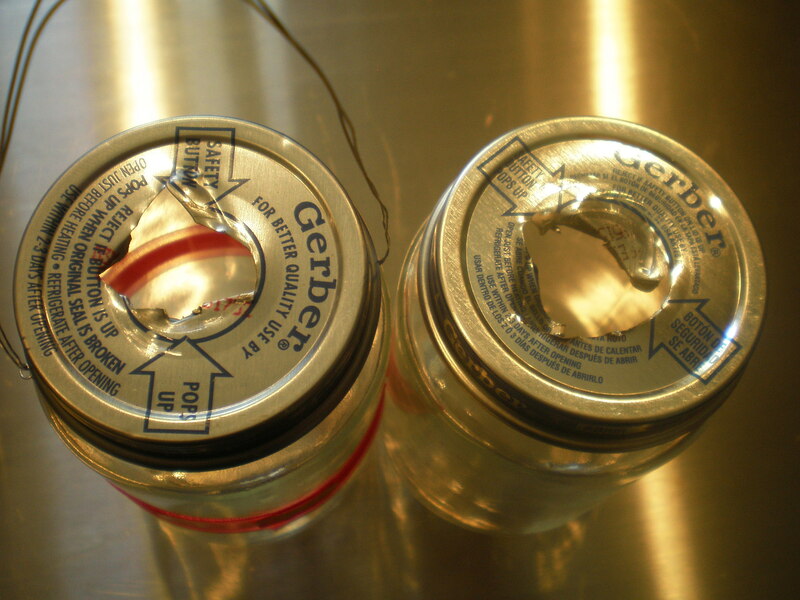 If you want to have the jar tops on then you will need to make a hole in the lid. 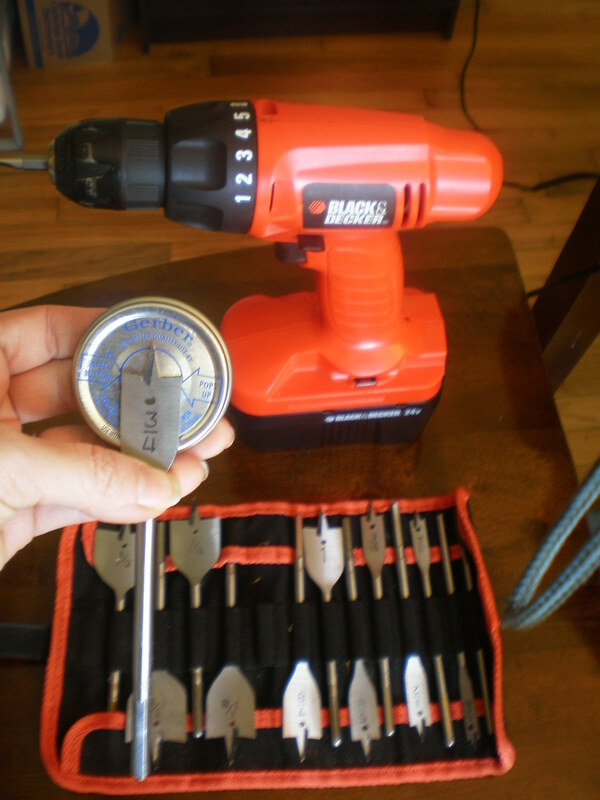 I used a drill with a wide bit to make a hole in the lids for the flowers. Even if they don’t turn out perfect you really just need an opening to have your flowers coming out of though. 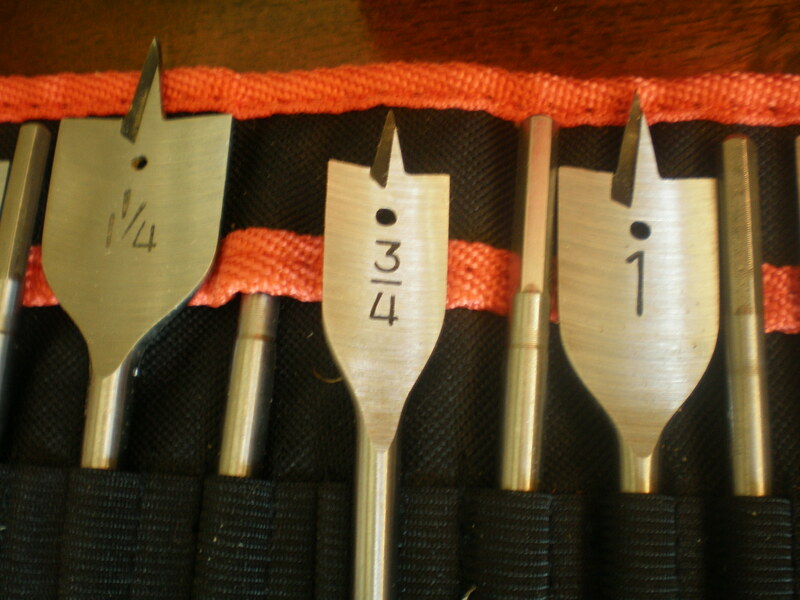 Here is what my “good” ones looked like. 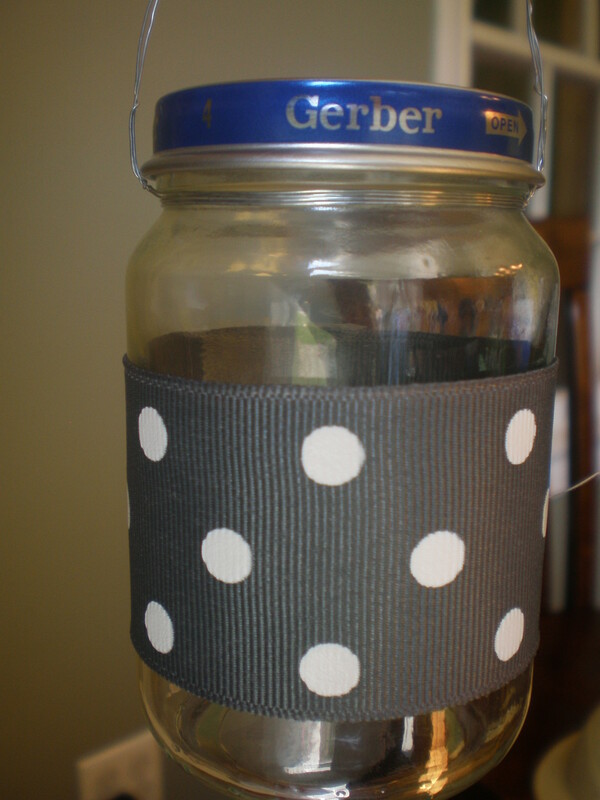 I left the lids on the jar when I drilled the holes so I could have something to hold onto while I drilled. 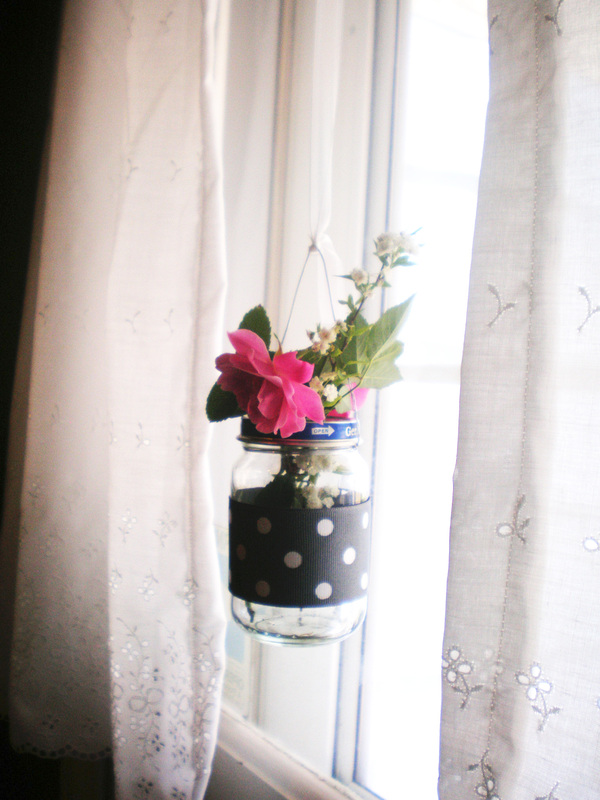 Here one is with some flowers from my garden. Here is a pic off my phone of them at the party!